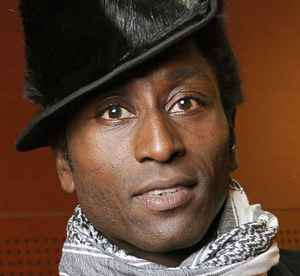 Keziah Jones (born Olufemi Sanyaolu on 10 January 1968 in Lagos, Nigeria) is a Nigerian singer-songwriter and guitarist. He describes his musical style as "Blufunk", which is a fusion between raw blues elements and hard, edgy funk rhythms. Also his Nigerian roots in Yoruba music and soul music can be considered a major influence on his sound. He is known for his distinctive style of guitar playing, including his percussive right-hand technique which is similar to a bass guitarist's slapping technique.